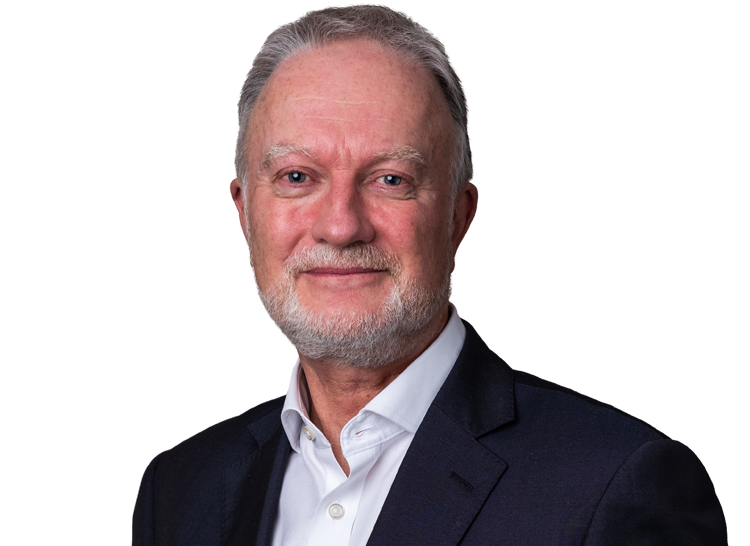 John Sturrock QC has been described as a “thought leader” in the area of mediation, citing his “keen intellect”, “preparation to get at core issues” and “massive wealth of experience in difficult negotiation situations”. He is “universally regarded as Scotland’s finest mediator” with a practice that extends throughout the UK, mainland Europe, Middle East and Africa. An internationally recognised Mediator, John has mediated hundreds of disputes in a wide range of commercial, professional and other settings. Many of these matters have raised complex issues, some have involved multiple parties, most have resolved in a day. The value of claims has ranged from tens of thousands of pounds to hundreds of millions. He is recognised for his innovative approach to helping parties to resolve difficult matters. Since leaving active practice at the Scottish Bar in 2002, he has pursued a full-time career as a mediator, facilitator, conflict specialist and coach. He has mediated in government, commerce, industry, the professions, sport, the public sector, senior management and other sensitive and complex matters and has facilitated many high-level dialogues. John’s style is engaging and innovative with an emphasis on being rigorous on the issues when necessary, while recognising the need for respect and dignity amongst all concerned. His approach is to value parties’ autonomy in making choices and to ensure that these choices are fully-informed and fully tested. He is facilitative and thorough, working energetically alongside parties with a lightness of touch and focussed perseverance. Adept at working with people at every level, he is respected for his ability to get to the heart of matters, while using the process creatively. With a legal background, he is able to help parties assess legal and factual risks where appropriate. His many years in business, including engagement with major plcs and other corporate interests in strategy work, enable him to encourage a commercial approach to problem-solving, ensuring that decision-makers can take responsibility for making realistic choices about the outcome. Noted as "one of the best teachers of mediation", he also specialises in conflict management training and coaching for senior government officials, civil servants, executives and sports leaders. For many years, he has worked with senior civil servants and various parliamentary bodies throughout the UK (including the Westminster and Scottish Parliaments and the Northern Ireland, Welsh and London Assemblies) on effective scrutiny of policy. He was a special adviser on dialogue to the House of Commons Public Administration and Constitutional Affairs Committee. He works regularly with senior officials at the Scottish Government on policy and political issues at the highest levels. He has trained Cabinet Office officials in London. He facilitated the 2020 Climate Change Delivery Group in Scotland from 2009-2013. He has worked with UK Sport, the English Institute of Sport, Sportscotland, and many sports’ governing bodies and athletes for a number of years, particularly in the lead up to the London Olympics. John recently acted as mediator in complex private/public sector infrastructure/construction and engineering projects with claim values in the £hundreds of millions. He is a founder of Collaborative Scotland, an initiative to bring respectful dialogue to Scottish politics and public affairs, and is the author of its Commitment to Respectful Dialogue. He is a frequent writer and commentator on collaboration in the political world. John has been involved in hundreds of mediations, frequently high value, multi-party, covering a broad range of issues in the commercial and public sectors, finance and banking, corporate management, government and sport. These have included a multiplicity of interests, including commercial contracts, financial instruments, shareholder and boardroom, insurance, construction and engineering, infrastructure, intellectual property, real estate, high performance sport, senior level employment, investor matters, taxation, IT, professional indemnity, agriculture, landlord and tenant, oil and gas, procurement and transport. He has also facilitated many high-level dialogues in sensitive and complex policy matters (including intra-governmental). Click here for examples of John’s mediation and other work. Regular speaker at the American Bar Association Dispute Resolution Conference and is involved in many other international initiatives, most recently as the co-host of the keynote seminar at the launch of the Singapore International Mediation Centre in 2014, as a key note speaker at a major conference on dispute resolution in New Zealand in 2015, leading workshops for justice officials in Turkey in 2015, addressing students and professionals at the University of Florence in 2016 and leading training work in Africa on conflict resolution and reconciliation in 2016 and 2017. Listed in Band 1 in the Best of UK in Chambers UK Guide to the Legal Profession, John is “singled out for praise by his clients for his relaxed… approach at outset” and yet for his ability to “still push hard to get a deal at the end of the day”. He has been described as "'a highly intelligent and skilful mediator' who retains a market-leading reputation. His diverse practice includes mediating professional negligence, employment and commercial contract disputes in a broad range of sectors, both in the UK and overseas. One observer says: 'He absolutely knew what we were after and was brilliant in getting both parties at the table to open up. He got the best resolution possible for both parties and gave fantastic support and advice.'" The directory has also described him as “a leading figure in the UK mediation market”, praised for being "flexible in his approach and for always remaining sensitive to the differing interests of the parties involved", a "fantastic listener" who has “a wealth of experience handling complex commercial contract, IP and environmental disputes, as well as mediations arising in the construction and property sectors.” and "a wonderful communicator with much experience of complex commercial issues". “He is often engaged in complex, multiparty disputes and his experience covers contracts, IP, property, construction, employment and professional negligence. Sources describe him as "a genuine innovator, who always has the topical issues on his radar." Although most prolific in Scotland, he has mediated across the UK." John is also a frequent contributor of articles to newspapers and journals.